Chocolate is one of the world’s greatest treasures. It’s enjoyed by most everyone in the world, and many people live and die by its health benefits. 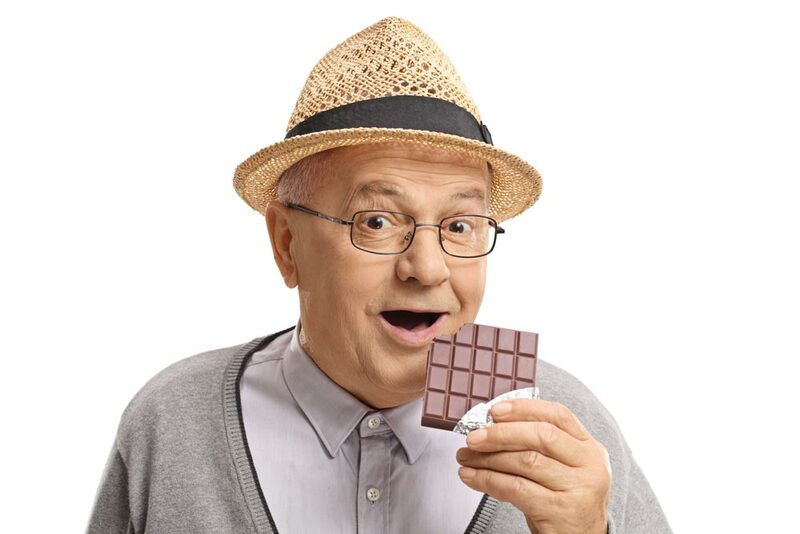 Unfortunately, as we age, many people forget about its health benefits and look at chocolate as more of a treat, rather than the great tasting healthy option it can be… if consumed in moderation and correctly. This article will take you through the elements of chocolate that bring about its incredible benefits. Cocoa is high in flavanol, which is an antioxidant, found in certain types of plants. Antioxidants are important to maintaining good health and cocoa beans happen to be one specific plant containing a high concentration of these compounds. Flavanol helps the body combat the negative effects that free radicals have on the body and brain. There is even some evidence that antioxidants may be helpful in reducing cholesterol levels in the blood. Chocolate is extremely helpful for one’s cognitive function. In one study, it was discovered that after thirty days, those who drank 2 cups per day showed an 8.3 percent increase in blood flow to the brain, thus improving their overall memory ability. The conclusion is that while ongoing study is still needed, it seems that certain types of cocoa could help in treating depression, anxiety and possibly even dementia. It is well known that flavanols help lower blood pressure, but the positive effects of this are still being studied. While ongoing study is important, there’s no harm in adding flavanols to the diet as it is extremely beneficial for your heart’s function. Foods containing flavanols or antioxidants should generally be included in a heart healthy diet. Which type of chocolate is best? The darker the better. Chocolate with higher concentrations of flavanols or antioxidants are found in dark chocolate mainly because darker chocolate contains more cocoa, and that means that dark chocolate is better for you. If there’s any takeaways we want you to take from this article it is to consider having a chocolate bar or two on hand for the occasional ‘chocolate emergency’, and to no longer get feelings of guilt when you munch down on some wonderful dark chocolate.